Day 13. Signs: If you believe in signs from your child/ren, share with us an experience you have had. I don't believe in "signs" from Lily. What I believe is that Jesus does special things just for me because He cares deeply about each aspect of my heart and life, whether big or small. He sends down little "winks from Heaven" to remind me that He will never forget me or my girl. She's His girl too after all. :) Lily is always on my heart and I know that I am on the heart of Heaven. My future is there. I believe that to an extent, Lily knows what's going on here on earth. I picture her sitting on Jesus' lap as He tells her all the ways He is using her precious LIFE in this world. I believe they are cheering me on. 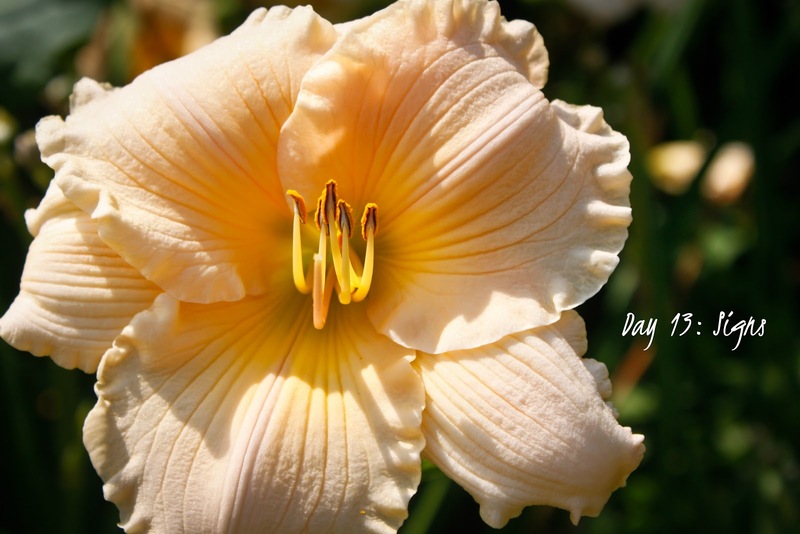 On the day Lily was born, it was gray, cloudy, and rainy...I believe my Lord was showing me that His heart was grieving with mine. I see Lily everywhere. In everything. All the memories of my pregnancy and time with her, all the dreams I had for her life, all the crazy similarities I come across every day. Some of these little winks are sent to me through friends. This photo was taken by my lovely friend Laura who is an amazing photographer. She took this photo of a lily, in honor of my Lily and framed it and sent it to me. I have had other friends send special things as well. These precious gifts remind me that her legacy will live on always. One of the most precious gifts I've received was a friend who sent me white lilies for Mother's Day this year who happens to be her parent's "rainbow baby." The Lord gave her a dream of my girl and it is so very precious to me to have a glimpse of my blue-eyed daughter of Heaven. I pray that this dream will comfort other mothers whose precious children live with Jesus. "I have thought of you often since being home, and have continued to check up on your blog pretty frequently, but was still surprised when I had a dream about you a few weeks ago. It was short, and was one of those dreams that truly feel like a dream because it was so peaceful and beautiful. You and I were just sitting in chairs next to each other in a living room somewhere. And Lily was there. I don't remember you or I saying a word to each other, we just smiled and laughed and watched Lily. She wasn't a baby, she actually looked like the just barely two year old that she should be. All I remember is that she had really sweet wispy blond hair, and gorgeous blue eyes. And I knew she was Lily; she truly did look just like a little mini you. It seemed so completely natural that she was there with you, as she would run playfully around the room, and then straight back to you again. She was absolutely beautiful, Hannah Rose, and she definitely knew that you were her momma. That was pretty much all, except that right before I woke up, she looked up at me and smiled, and from that moment I knew that I was supposed to remember this dream and share it with you. 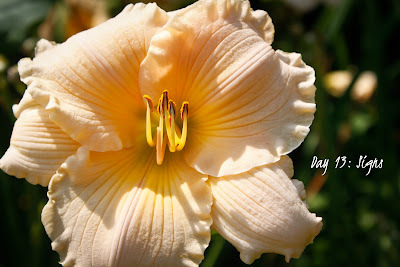 It made something I had remembered reading on your blog very real - that while she only got to be a little Lily-bud here, she is most definitely blooming with life in Jesus. That even when little hearts seem to stop on Earth, they never miss a beat in the Heavenly realm. What I feel most strongly when I think of it is that - Lily is alive. Vibrantly alive. And that you are mother to an adorable, blond-haired, blue-eyed, Lily, and little Luke too, and you always will be. Even though you're missing them now, eternity awaits." I nanny for a little girl who shares my middle and last names and has a sister named Lily who is in Heaven. I also nanny for a little boy who was born on March 16th, 2010, Lily's actual birthday!